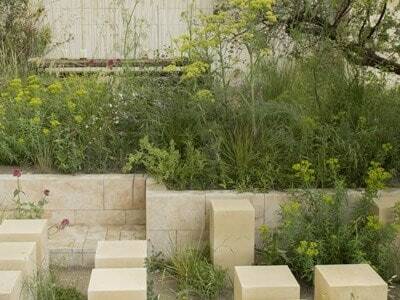 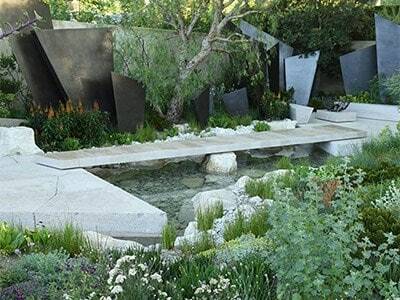 The show garden is inspired by Chatsworth’s ornamental Trout Stream and Paxton’s rockery. 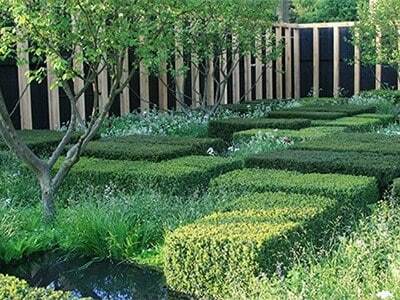 Winner of the best in show award in 2015, Dan Pearson’s garden was inspired by the grounds of Chatsworth House in the Derbyshire Dales. 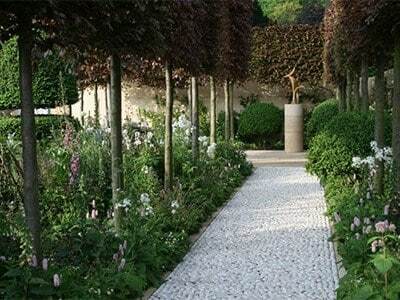 There are 2 areas of the grounds that Dan Pearson used; the Trout Stream and the Rock Garden which both have different characteristics that lend themselves well to a Chelsea garden. 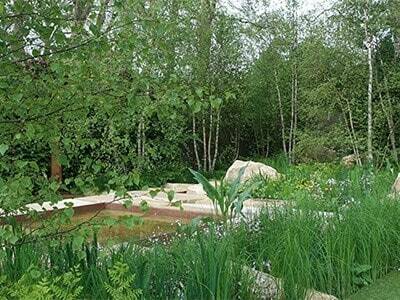 The Trout Stream is narrow and intimate in scale, whereas the Rock Garden is full of drama and dramatic scale. 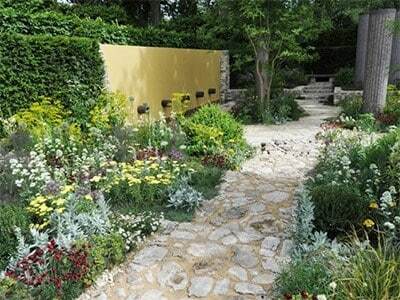 Colours of yellow and pink predominated in a naturalistic tableau, which excited plant lovers. 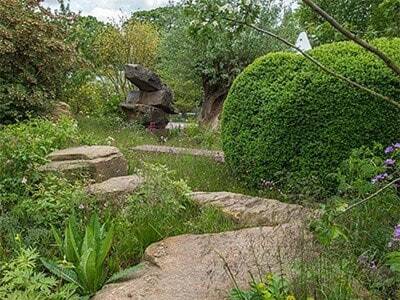 Also, in an echo of the discoveries of Victorian plant hunters, you will see several recently introduced plants that have rarely seen before.